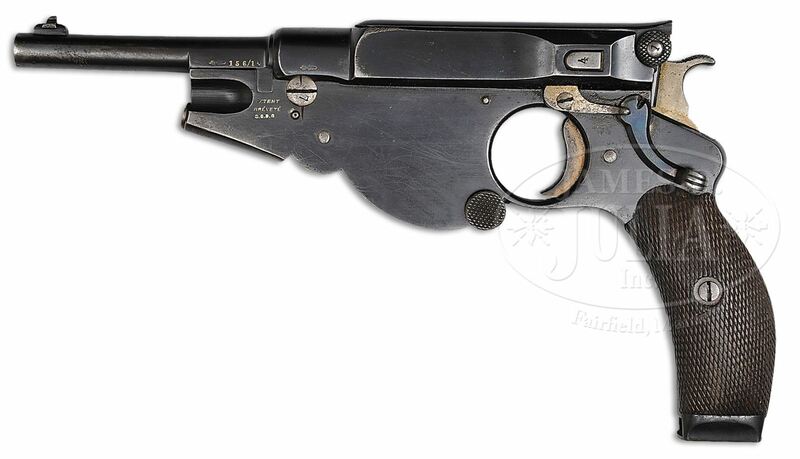 With the Bergmann No.3 proving to be a popular pistol and commercial success, Bergmann and Louis Schmeisser made another attempt to break into the military market. This was done by adapting the No.3 to use a larger 8mm cartridge. This modification was fairly simple, requiring basically just a new barrel. The 8mm was based on the 6.5mm case, using the same head diameter and virtually identical overall length. This allowed the same boltface to be used, and the same size magazine. One side effect was that the No.4’s cartridge was much less tapered than previous Bergmann cartridges (and not bottlenecked), but this does not appear to have caused any reliability problems. 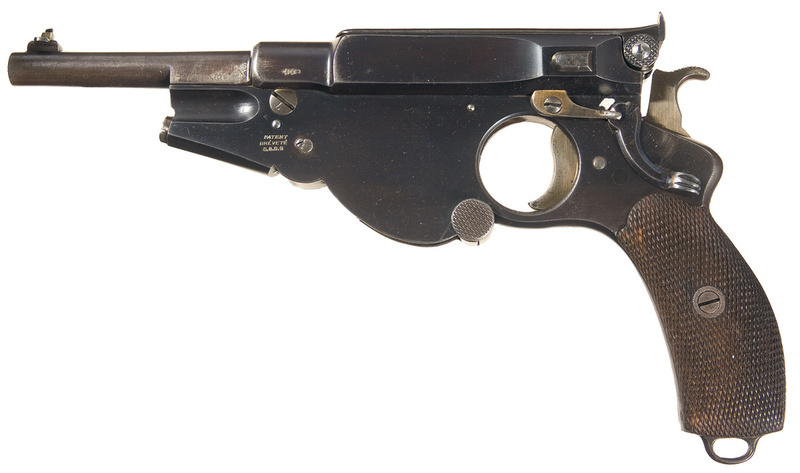 Only a one or two hundred No.4 Bergmann pistols were made (and they were numbered in the same series as the No.3, making an exact count impossible), as the new cartridge was still too weak to interest military commissions. I have been unable to find bullet weight and velocity specifications on the round, although you can see dimensional specs at Municion.org (and also specs on an even rarer 7.5mm variant). 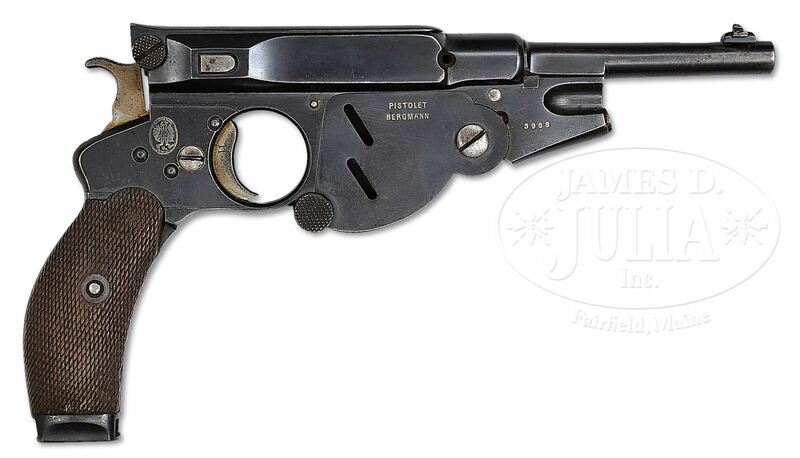 The small production of No.4 pistols makes it a very rare cartridge, and further confuse issues, it appears to have been capable of using the later 8mm Simplex cartridge as well. The original No.4 cartridge used a 22mm long case, while the later Simplex used an 18mm case. 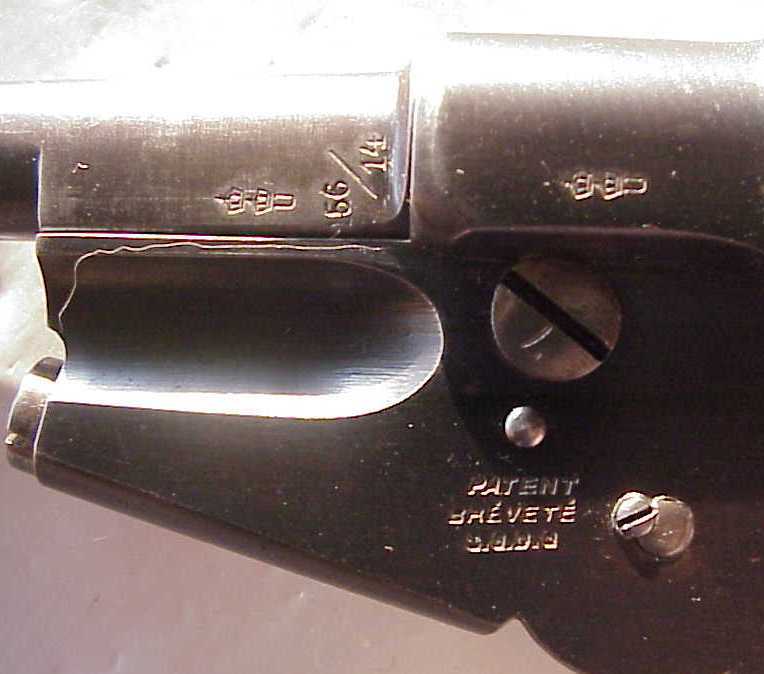 When the 8×22 ammunition was no longer produced, it is likely that pistol owners would have switched to using the slightly more available 8×18 cartridges. 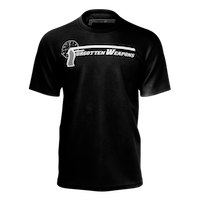 At any rate, based on the other Bergmann ammo and the size of the 8×22 case, it is a reasonable supposition that the 8mm Bergmann would have been roughly equivalent to the .32 ACP in power. 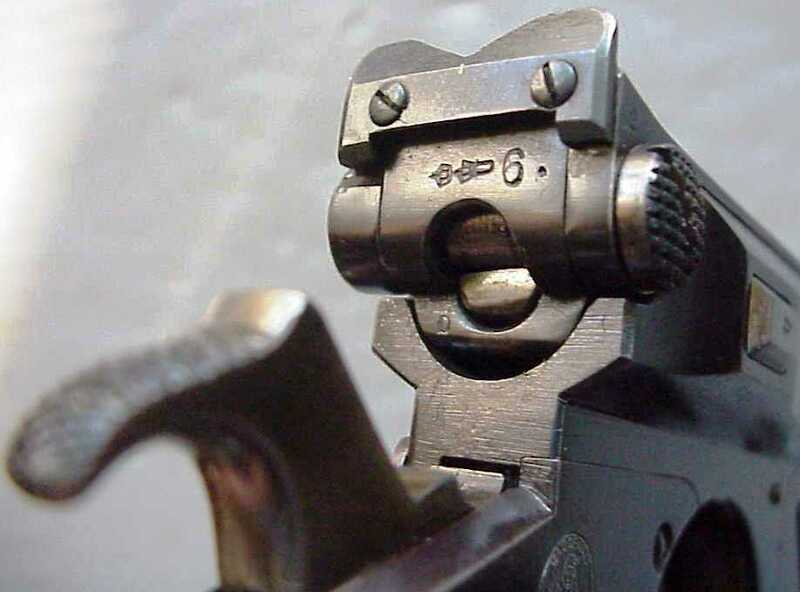 Beyond these cartridge changes, the No.4 was identical to the No.3 Bergmann. 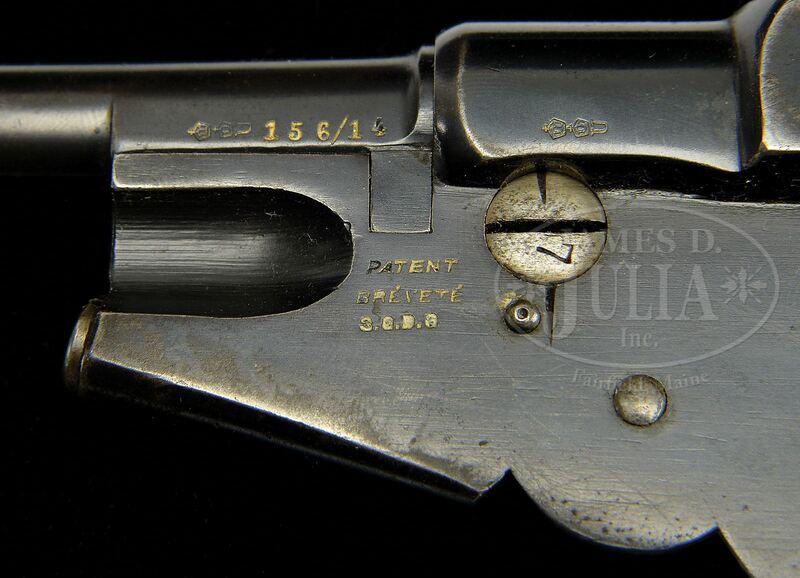 When it became apparent that the design would not meet military requirements, development proceeded on to the No.5 design, which would introduce a locked breech to allow a significantly stronger cartridge. Oh man, this reads like crimi-sequel. Did I say 7.5 would be my calibre pick in previous article’s discussion? 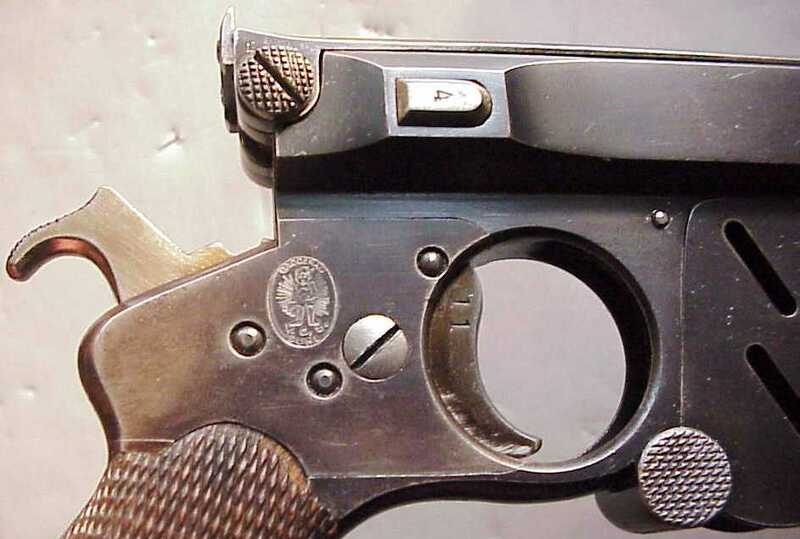 This definitely turns out to be lively and enjoyable reading covering scope of Bergmann pistol history. Good stuff & thanks! A fascinating series. Thanks for posting it. I think that taper-case design of Bergmann cartridges is legacy of first grooveless cartridges – the taper was essential for headspacing. 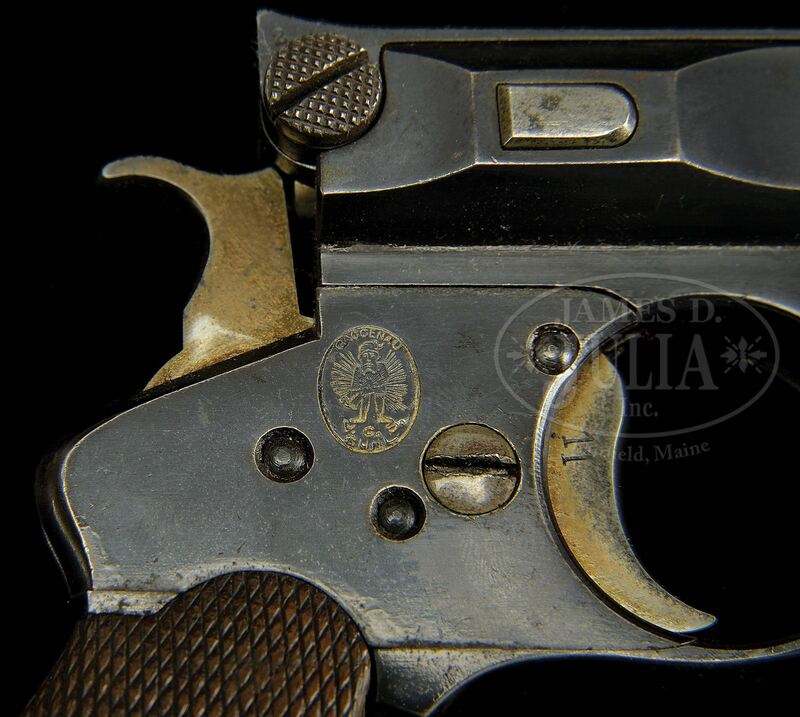 8×22 Bergmann never gain popularity and prodcution of this cartridge ceased about 1910. The basic question is WHY the Bergmann No. 4 never gain popularity. 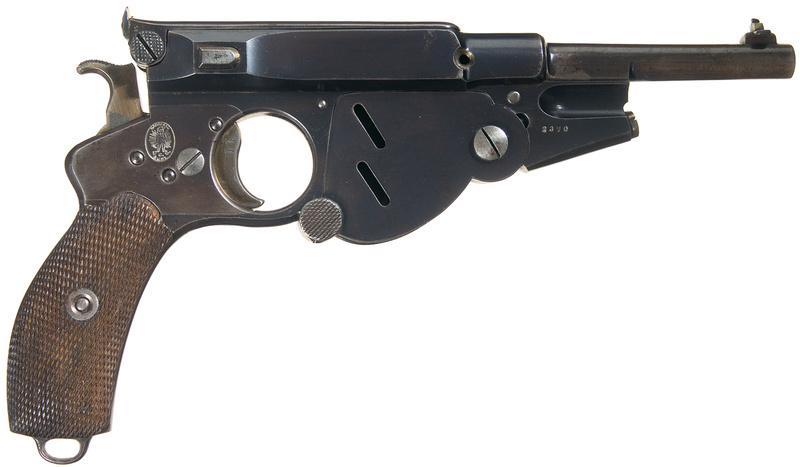 It was caused by the pistol (for example lack of reliability) or something other (for example finance-problem or lack of advertisement)? It’s too bad that Municion.org is in Spanish and I’ve forgotten everything I learned of the Spanish language in high school. Thus I have to rely on Google Translate. 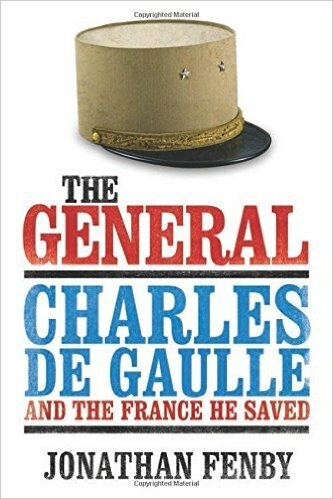 Military commissions were very lucrative, and I can see why few No. 4 Bergmanns were made. If your gun was rejected by the person most likely to use it, other people would not even consider looking at it. After all, there were the previous models around the market place. Could you send me a copy of that report? I’d love to see it!